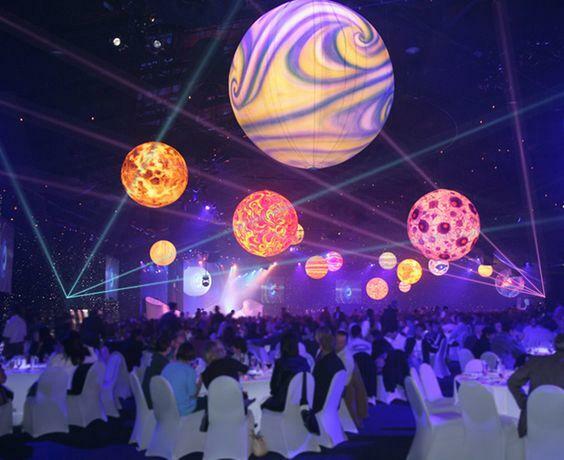 Welcome to outer space, the galactic theme for your next event. 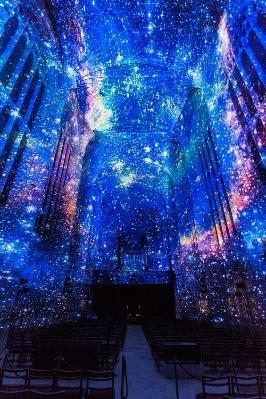 Here, gravity is optional, time is unknown, and guests are invited into an evening of mystical, glowing spectacle. Who needs a planetarium when you can install one in your exhibit hall? 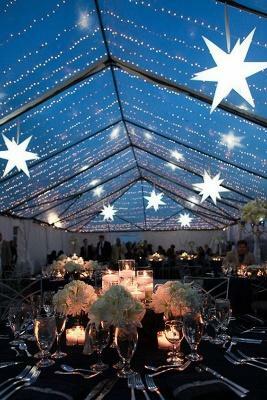 Let guests name their own stars for a souvenir they can’t keep or contain, but will certainly remember. 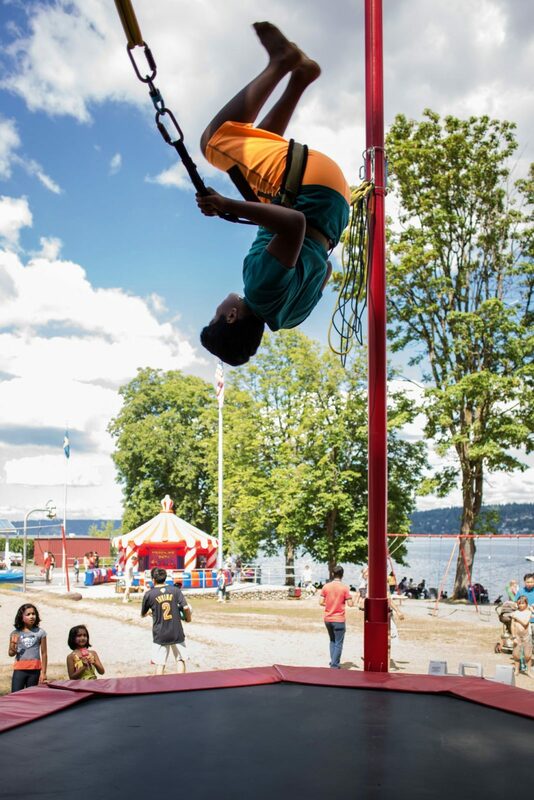 For a little gravity-defying fun, cover the ground in small trampolines. This décor is out of this world. Think oversized planets and LED furniture. If it glows, it should be on your list. Space Food! But not that kind. No, no, we’re not suggesting that you serve your guests some dehydrated ice cream. 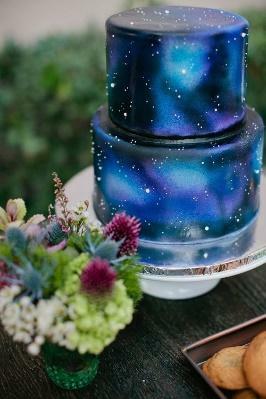 But space-themed food can be downright gorgeous. LED cotton candy anyone? 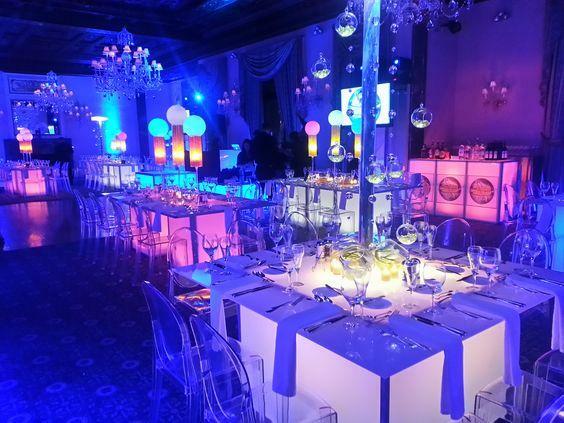 Check out this inspiring Galaxy cake and illuminated table setting. 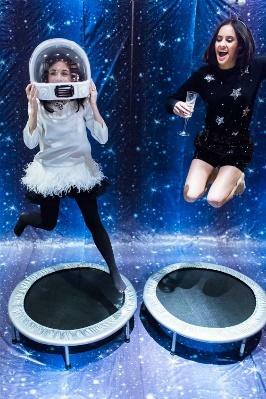 Give your attendees a moon landing experience! Rent a bungee jump system and decorate the space to resemble John Glenn’s favorite stomping ground. Create a multisensory entertainment experience with a futuristic performance. 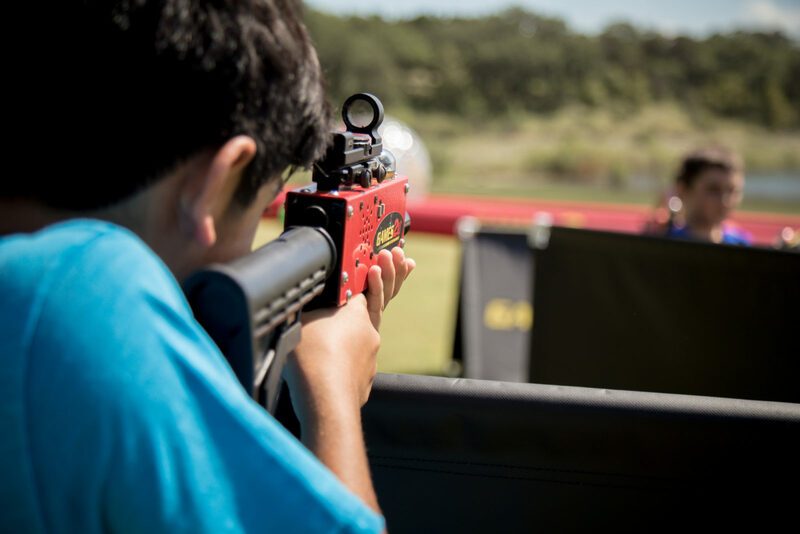 And when in doubt, play laser tag! Perhaps with a little alien drama thrown in. Finally, I’ll leave you with these unbelievably beautiful galaxy displays. See? Space is gorgeous.